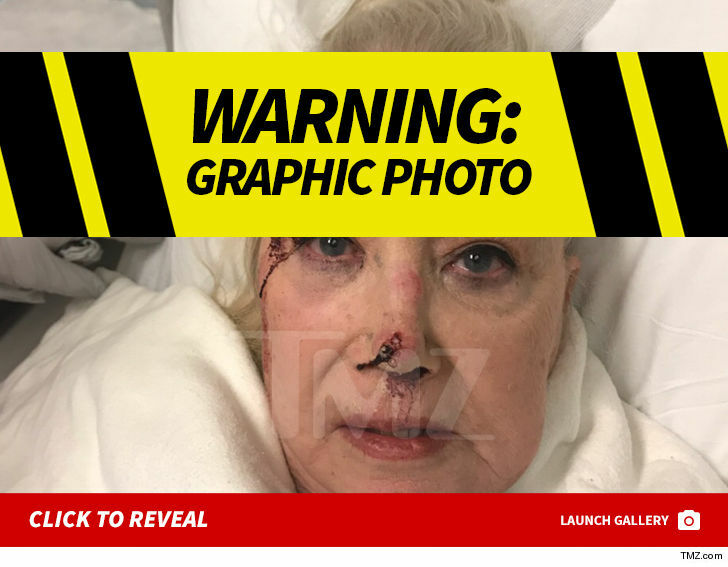 Sally Kirkland got a horrific and deep forehead gash patched up in an emergency surgery, and she's recovering, but on her way into the hospital ... it looked touch and go. A rep for the Oscar-nominated actress tells TMZ ... Sally returned to her L.A. home Thursday night after the surgery at NYC's Cornell Hospital. We're told she's still under medical supervision and is scheduled for ongoing treatment for head trauma. Sally's rep tells us the accident is under investigation, and suggests the building didn't take proper measures to ensure Sally's safety. We're told it was raining heavily and she slipped on a wet floor. As we reported ... 76-year-old Sally was rushed to the hospital after suffering the fall following a radio appearance on SiriusXM. She had to have surgery because the injury was too severe for stitches. Don't believe us? Click the image.